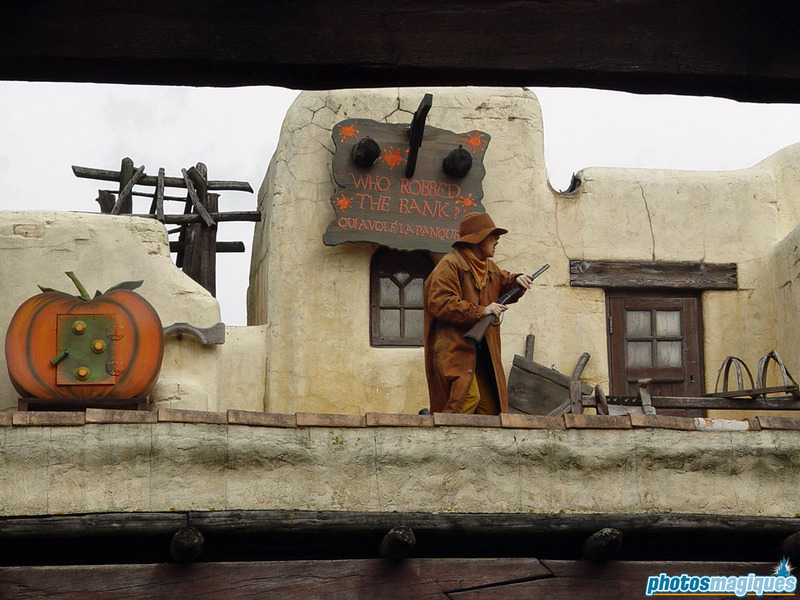 Throwback Thursday: Who robbed the bank? 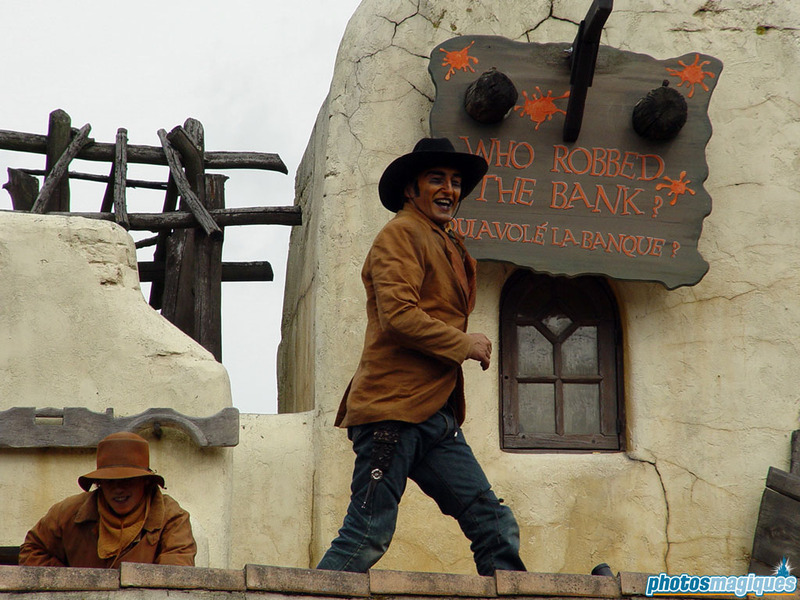 “Who robbed the bank?” was a streetmosphere-type show in Frontierland during Disney’s Halloween Festival in 2004. 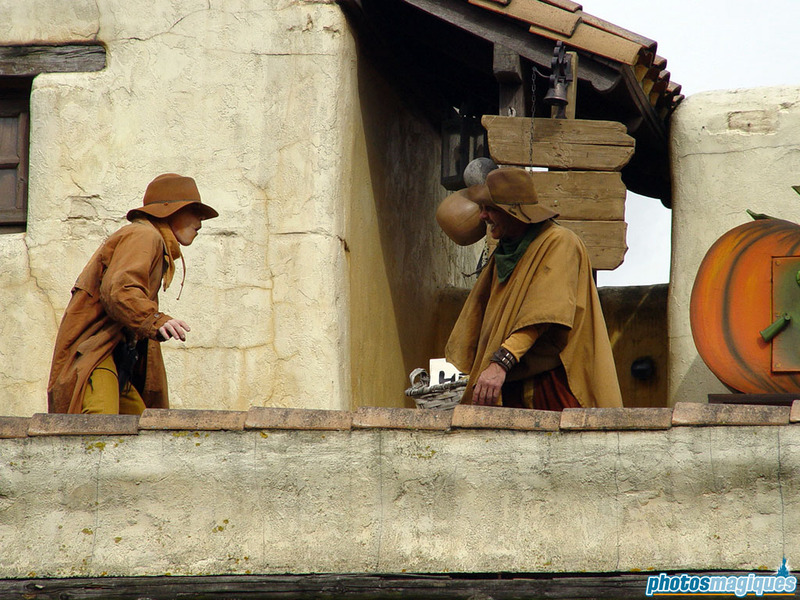 It featured stunt men as bank robbers jumping over the rooftops of Fuente del Oro Restaurante. 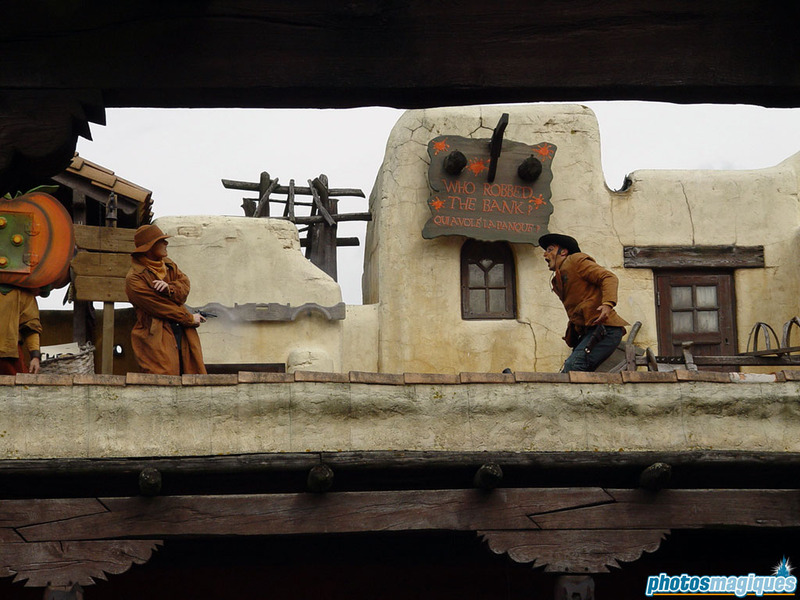 The show used lots of slapstick humor and didn’t use spoken dialog, instead the main characters held up signs with words. 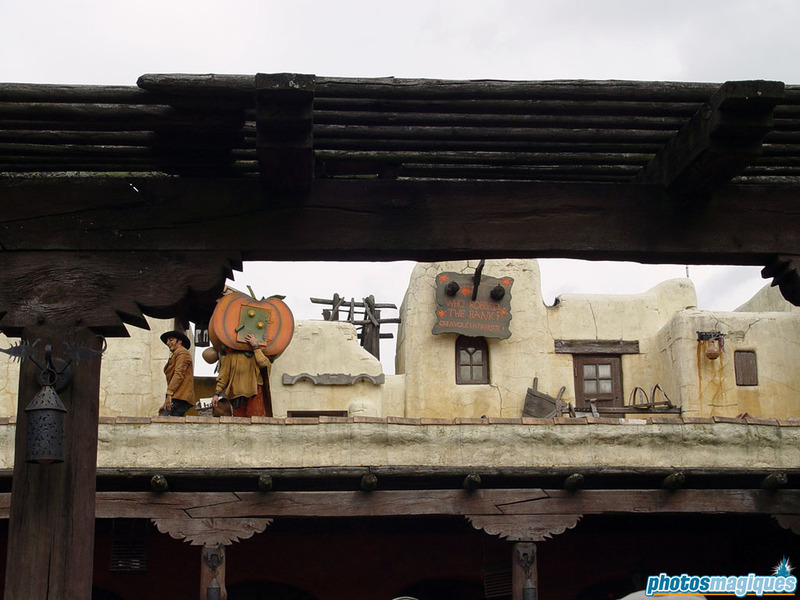 There was lots of running back and forward, falling of the roof tops and ladders tipping over. 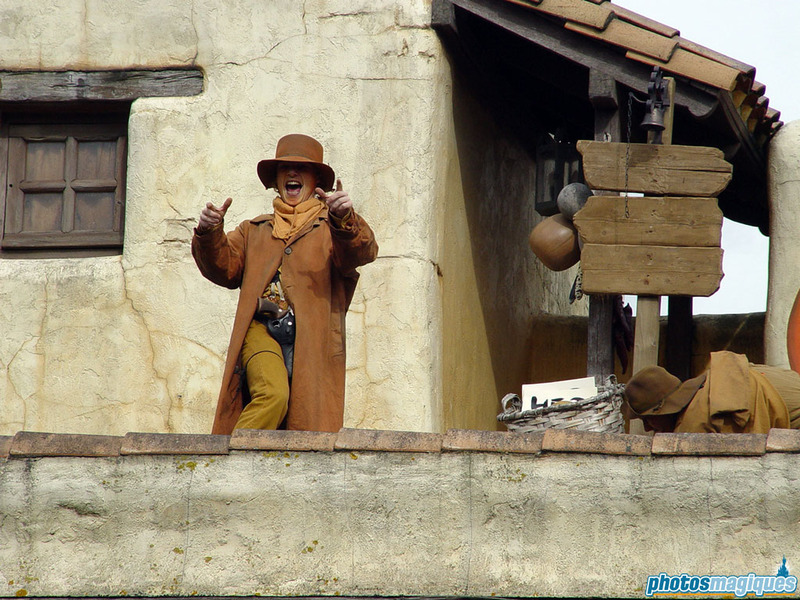 A stunt show featuring Zorro took place at the same location in 1993. Next Next post: Win a stay at Hipark Résidences!